The history of the Polish Union of Steel Distributors is tightly linked to the history of steel market development in Poland. Since 2010 Direktpoint has supported the union in the area of technological solutions. After years of using the www website, the time has come to build a new platform. The task commissioned to the agency concerned building a completely new tool which was to combine image and sales functions in the part accessible to all users. After logging in – the new site was to provide current information to different types of users, online tools. Our client needed a flexible and open solution for future years of their organization development. The sales part of the site shows the merits of membership in PUDS and unique tools accessible once the members have logged in. 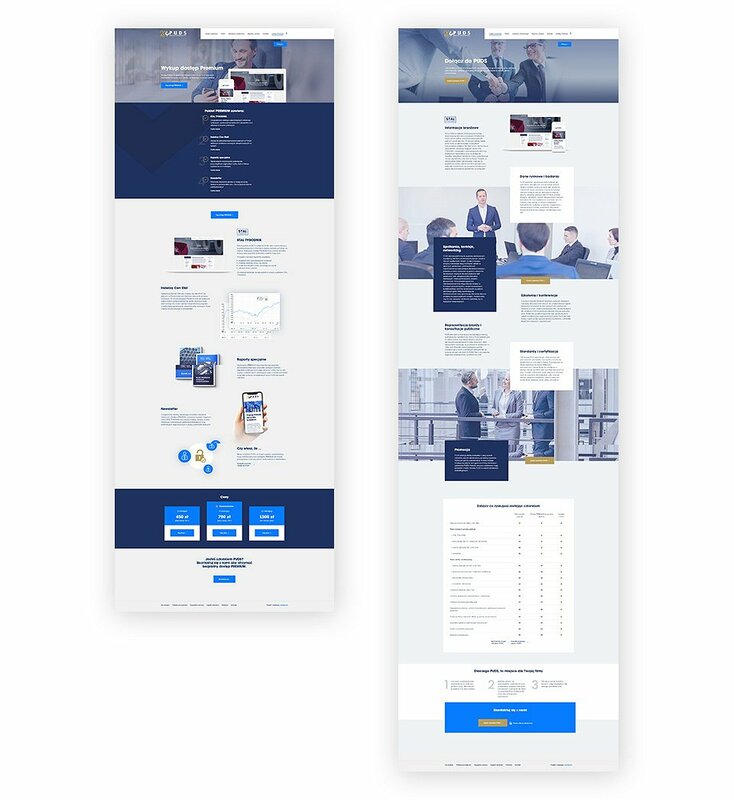 The development process was a downright ‘textbook’ example – we built UX prototypes, technical documentation, desktop and mobile graphic designs. To build the website itself we have suggested to use Drupal 8 which eventually proved to be an excellent engine for the whole system. The new website ensures independent service to several groups of users – both PUDS members and those who decided to subscribe to individual temporary access to restricted content. In addition, the system enables sales of PUDS products – access to premium content, reports, analyses and registration to such events as conferences and training classes. The system is integrated with the Freshmail tool which manages the dispatch of newsletters to different groups of users. The website has been designed with the growing role of mobile devices in mind. One of the purposes of the website is to promote companies in the union. 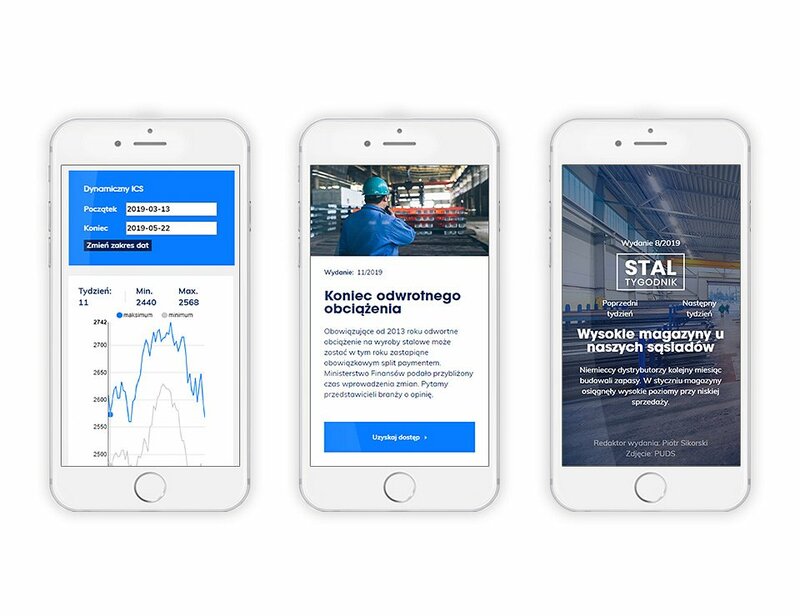 The list and geographical search engine have been placed in an independent domain www.szukamstali.pl and thanks to that it can be promoted as an independent online tool to people interested in companies operating in that sector. What awaits users after logging in the premium zone? First of all, the highest quality content presented in a new elegant formula. The editorial team now have the tools allowing for attractive presentation of content. "The Steel Weekly” – a weekly summary of developments in the steel market compiled by the editorial team. Apart from that, users have access to dozens of current reports and sector analyses. We also shouldn’t forget about the Steel Price Index. It is the market barometer for selected steel products whose prices are quoted with fixed frequency – once a week and followed by most companies functioning on the steel market. We hope that our work and its final effect will result in the growth of prestige of the organization, higher number of members and thousands of premium users.